With the summer just around the corner I just needed some new shorts. The thing is, I haven’t bought one in years.. It’s just that I don’t really like my legs. I do wear a lot of skirts, but sometimes shorts are just more handy. So I decided to buy one.. And another one.. Crazy, I know. But I also wanted to make one. Not from scratch but from an old pair of jeans and some lace. I think it turned out absolutely lovely! 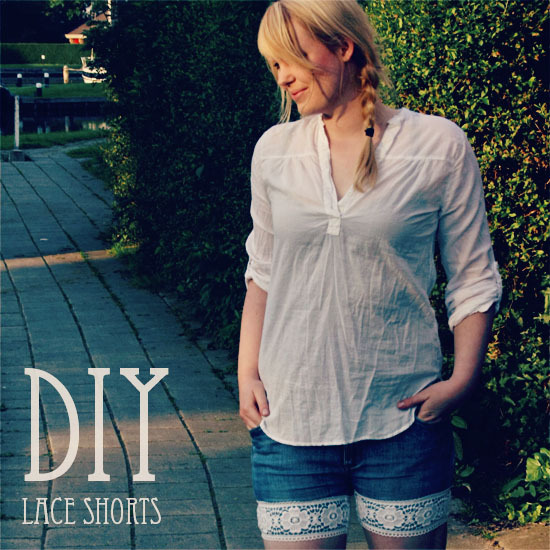 Learn how to make this DIY lace shorts after the jump. . .
First you have to decide on the length of the shorts. Put the jeans on or use another pair of shorts to lay on top of your jeans. Once you have decided on the length, cut the jeans. When the first leg is cut of you can lay the short one on the long one as a guidance for the cutting. Now you need to pin your lace on the shorts. I have cut of the lace a little longer then I really needed, you can cut off the extra later. My lace joins between the legs, because that’s the least visible spot. Sew the lace with a zig zag stitch on the shorts. 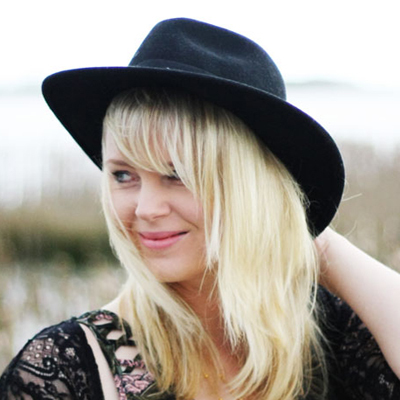 The zig zag stitch on the bottom of the lace will also prevent the denim from fraying. I also did a zig zag on the top of the lace. I used a regular stitch to close the ends of the lace and secure it on the shorts.